Enjoy live Prince tunes courtesy of AJ Vallejo before the film. Plus, there will be a very purply photo booth and fun prizes for those rocking Prince-inspired threads! Featured cocktail “The Dove’s Tear” (Titos, sprite, splash of red wine) will be available for purchase at the bar. Prince, Apollonia Kotero, and Morris Day. 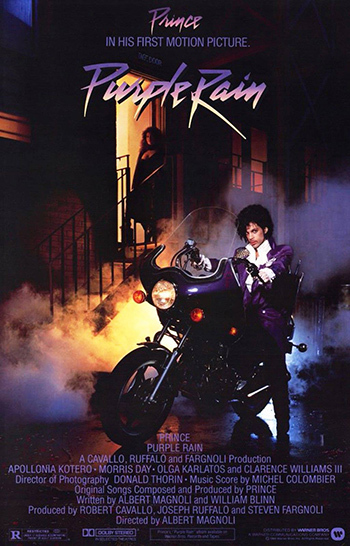 The late, great Prince Rogers Nelson soared to another level of superstardom thanks to this semi-autobiographical story of “The Kid,” a talented young front man of a Minneapolis band who immerses himself in his music. In addition to the film being an instant cult classic, the album is still the sixth-best-selling soundtrack of all time.